Since buying Microsoft out of ninemsn and Mi9 in late 2013, the Nine Entertainment Company has been working to build up its internal audience data sets and capability. There are two threads to this data strategy: Lifting advertising effectiveness for clients across its media properties through better targeting and optimisation against audience segments; and improving end-user engagement with better content creation and personalisation from a marketing and publishing perspective. Work to date has stretched from building an internal data lake and centralised access interface, to investing in the AppNexus Publisher Suite to power its programmatic advertising network, and rolling out Adobe’s Audience Manager DMP for execution and management, providing consumers with increasingly personalised content. Every CMO and CEO wants to have a data repository where every single piece of information about a customer is aggregated, stored and seamlessly accessible in one interface not just for internal purposes, but also for marketing, Parsons says. He agrees the raft of data available today has added a huge layer of complexity to the marketing mix. But it also offers up a huge amount of targeting capability. “Data for us is about how we use what we know about consumers to create better experiences for them, and help them engage more. For people that aren’t already consuming our products, it’s also about creating products they may want to consume in the future,” he says. “We were fortunate we didn’t have legacy systems to migrate from. We were able to create that from scratch with best practice in mind two-and-a-half years ago, and continually adjust as we go along.” Parsons added most of the data work fell under his jurisdiction, making it easy to “just get going on it”. One way Nine is tapping fresh insight is via its video on-demand offering, 9Now, which launched as a subscription-based model in 2016. The company also debuted automated advertising in TV in February, via its partnerships with Australian-based Landsberry and James and global tech platform, Landmark, creating another data stream that over time, will be of use to the entire business. It’s not just internal data sets driving this approach, either. Nine has made a number of data sharing partnerships over the past year to augment own audience data. One is with data exchange provider, Data Republic, gained access to targeted grocery buying segments across Australia’s largest independent grocers’ loyalty program. The deal included five years of itemised basket data across 1600 stores nationally. Nine has also partnered with Qantas’ data business, Red Planet, to tap into the airline’s 11.5 million frequent flyer members. “For us, it’s around what data do we have of our own, what data we can glean from third parties, and then how we apply that not just internally, but in our external sales and cycle as well,” Parsons explains. “We have some data of our own; the key territories important to the overall mix are financial services data, travel data, and FMCG. Parsons expects more data sharing partnerships to be struck in the wider market as organisations get to grips with owned data sets. “These will help companies better understand what their customers are doing today and what they want customers to do tomorrow, and align those two things together and use the data to target the right people with the right message on the right time, on the right device,” he says. With a leadership remit encompassing digital, marketing and publishing, Parsons is not your typical marketing chief. But he suggest the days of CMOs just looking after ‘marketing’ are gone. 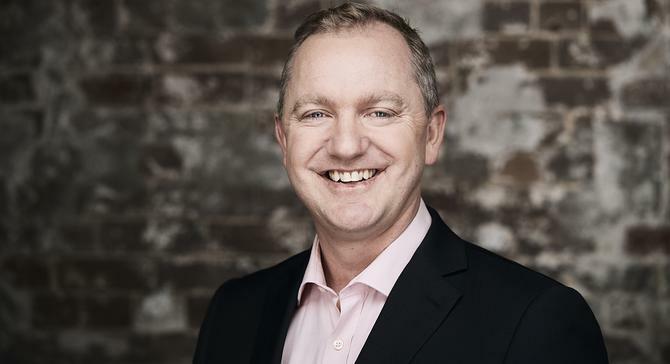 Most brand marketers recognise this, Parsons says, noting leading Australian marketers such as Telstra’s Joe Pollard, have jobs that go well and truly beyond marketing. As a result, marketers are increasingly being judged on business performance and results. “I’m judged as closely as my sales counterpart on how successful we are in terms of demand and revenue generation,” Parsons continues. “I’m also judged alongside everyone else on how that translates to EBITDA. That doesn’t mean the traditional principles of marketing have gone away, however. “Smartphones didn’t exist seven years ago, and consumption was mainly on desktops. So there has been a lot of change, but it’s been around the edges,” Parson claims.